In 2004, near the town of Shipka in central Bulgaria, archaeologists found the tomb of Seuthes III, one of the rulers of the ancient Odrysian kingdom dating from the fifth to the third century B.C. In addition to precious objects symbolizing the king’s lofty status, the tomb contained a bronze head with piercing eyes, thick hair and a flowing beard. The head and other items from the royal tomb, along with some of Bulgaria’s other famous Thracian treasures, will be part of a major new exhibition at the Louvre Museum in Paris opening April 16. 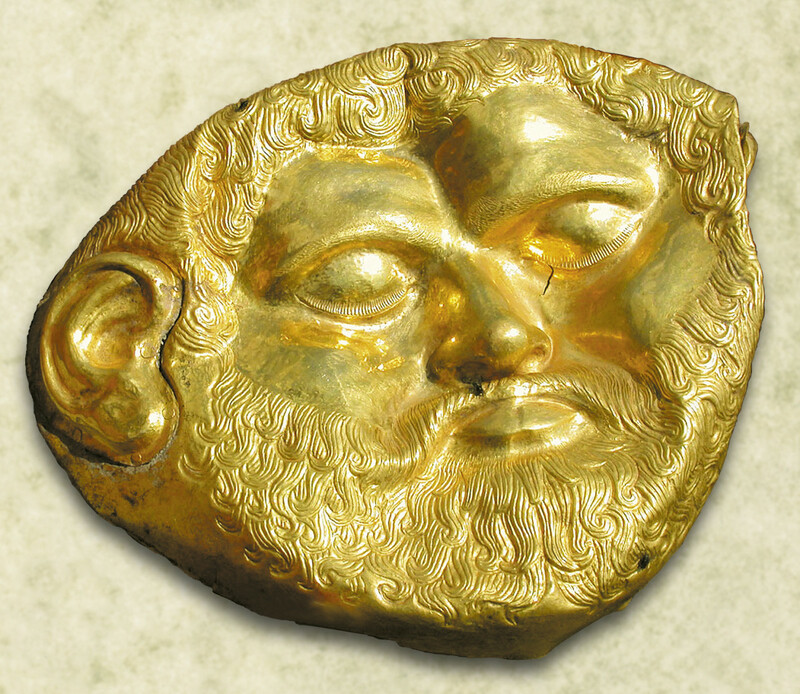 The exhibition, one of the largest ever of Thracian art, illuminates the power, lifestyle and artistic achievements of ancient Thrace, a region located between the Black and Aegean Seas. It brings together more than 1,600 objects from 17 Bulgarian museums and several international museums including the Louvre and the Prado Museum, giving visitors an opportunity to see in one place some of the most significant Thracian artifacts that have been discovered in Bulgaria. On display will be Thracian treasures consisting of intricately decorated gold, silver and bronze objects, including those discovered in Panagyuriste, Rogozen and Borovo.The Odrysian kingdom was mostly on the territory of present-day Bulgaria but also included parts of modern Greece and Turkey. “It was a real regional power which was involved in the struggle with the Macedonian kingdom and with Athens and Sparta,” said Alexandre Baralis, an archaeologist at the Louvre who is one of the exhibition’s five curators, three from France and two from Bulgaria. He has spent years doing archaeological research in Bulgaria.The Odrysian aristocracy “was able to develop their own language, their own prestige, their own influence” and “to create some very impressive tombs,” according to Mr. Baralis. The exhibition presents the furnishings of several Thracian tombs which showcase the beliefs as well as the economic and artistic wealth of the Odrysians. Visitors will be able to learn how their cities were set up, plus get a glimpse into their culture and education, with part of the population being literate. The two Bulgarian curators said they insisted on presenting the Odrysians in a regional context, highlighting their interaction with other Thracian people such as the Getae and Triballi as well as with Greek cities. The Odrysians had “incredibly high achievements,” said Totko Stoyanov, one of the Bulgarian curators. The period covered in the Louvre exhibition marked the height of Thracian culture in the Balkans, said Mr. Stoyanov, who is an archaeology professor at Sofia University. One of the exhibition highlights is the bronze head of Seuthes III. The head came from a statue which was life-size, according to Milena Tonkova, the exhibition’s other Bulgarian curator, who is head of Thracian archaeology at the National Archaeological Institute with Museum at the Bulgarian Academy of Sciences in Sofia. It’s the first visual representation of a Thracian king, which was found near the entrance of his tomb, she said. Among other objects that will be on display are Seuthes’s golden wreath, helmet, bowls and vessels, she said. A special room in the exhibition will be devoted to the king. Another show highlight is the Panagyuriste gold treasure, which was excavated in 1949 and consists of several drinking vessels that are elaborately decorated with mythological scenes and images, showcasing the artistic skills of the Thracians. Bulgaria remains a treasure trove for archaeologists, even though tomb raiders looking for short-term profit have destroyed numerous mounds in the country, according to the curators. “The potential for more discoveries in Bulgaria is huge and that’s why we, the Louvre, are there to help our colleagues excavate,” said Mr. Baralis. This exhibition is “a good opportunity for Bulgaria to be known,” he said.